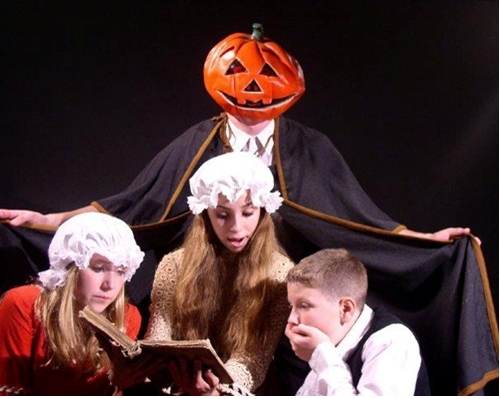 Arena Players Children’s Theater is presenting one of its classic productions for the Halloween season, The Incredible Tale of Sleepy Hollow, in the Carriage House Theater at the Suffolk County Vanderbilt Museum, 180 Little Neck Road, Centerport, New York. Ichabod Crane and the fearsome Headless Horseman come to life in this audience-participation version of Washington Irving’s classic tale. Show dates: November 1, 7 and 8. Performances are Saturdays and Sundays at 1:00. No performance on Halloween, Saturday, October 31. Parents can schedule a child’s birthday in conjunction with a particular performance date. Call 631-854-5568 for more details. Arena Players Repertory Theater is a non-profit company funded in part by Suffolk County under the auspices of the Office of Cultural Affairs; New York State Council for the Arts; and individual contributions.